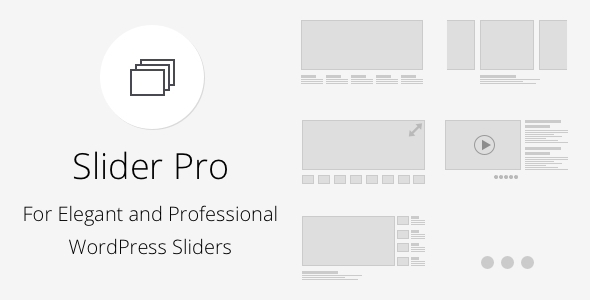 UnoSlider is a jQuery content slider plugin with an unlimited transition animations(really, unlimited!) 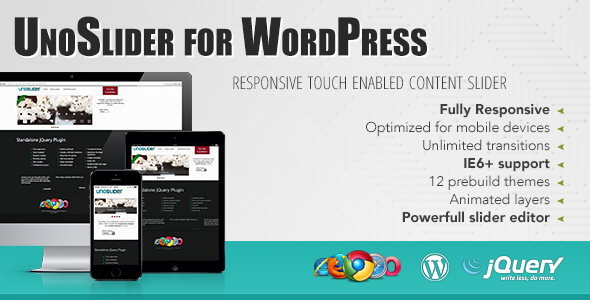 and a wide range of a features like touch enabled, mobile optimized interface, animated layers, responsiveness and a lot of other features. This entry was posted in Interface Elements, Sliders and tagged animation, banner, effect, gallery, image, photo, photoslider, responsive, showcase, slider, slideshow, theme, touch, transition, unoslider on September 5, 2015 by Vera Jaman. Does it support touchscreen devices? Yes! Flipper is very optimized for touchscreen. In fact, it feels even better when you flick the pages with your finger! Of course. 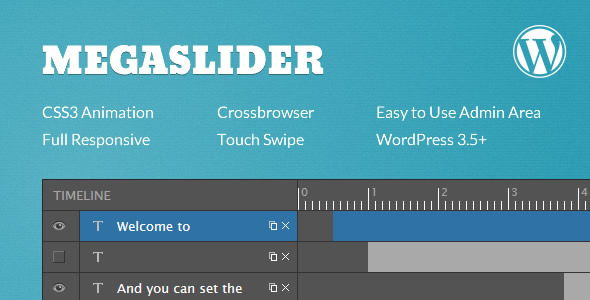 The plugin can accept width and height as parameters. Can I remove any of the UI elements of the widget? Sure. You can specify in the parameters if you wish to disable the arrows or the pager. Do I have to use just text? Absolutely not. 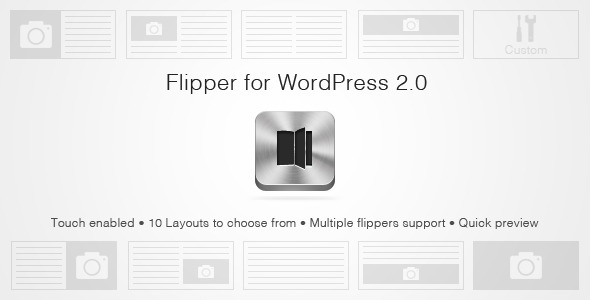 Flipper comes with 10 preset layouts and you can effortlessly switch between them, upload images and even spice it up with some CSS. All from the admin panel! If the browser doesn’t support CSS3 3D transforms, the widget gracefully falls back to pure jQuery. As a best practice, it doesn’t do browser sniffing! This entry was posted in Interface Elements, Sliders and tagged book, flick, flip, flipboard, flipbook, flipper, gallery, page, slider on August 22, 2015 by Vera Jaman. This entry was posted in Interface Elements, Sliders and tagged banner rotator, css3, effects, gallery, layer, layer sider, mega slider, slider, slideshow, timeline slider, touch slider on August 13, 2015 by Vera Jaman. 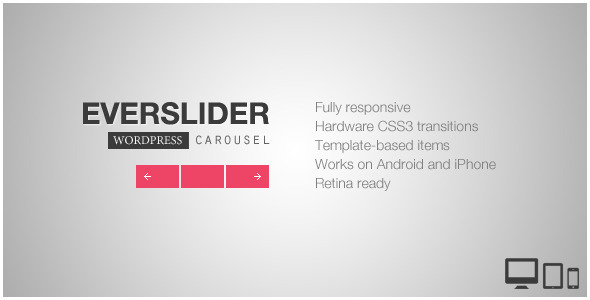 This is WordPress version of Everslider Responsive Carousel Plugin. jQuery version of this plugin you can get it here! 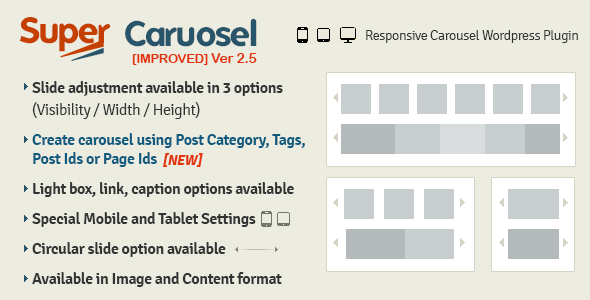 I made some screenshots in WordPress backend to demonstrate plugin functionality and available options. If you have any questions or need support, contact me and I’ll be happy to help! This entry was posted in Interface Elements, Sliders and tagged carousel, gallery, image, jquery, mobile, photo, post, preview, responsive, showcase, slider, slideshow, teaser, touch, wordpress on August 9, 2015 by Vera Jaman. 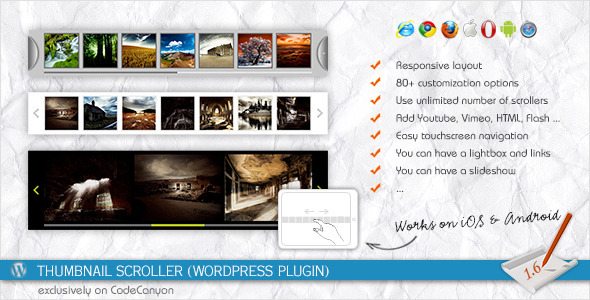 This entry was posted in Interface Elements, Sliders and tagged accordion slider, animated layers, content slider, deep-linking, featured accordion, featured slider, lazy loading, lightbox, responsive accordion, responsive slider, retina, touch-swipe, wordpress accordion, wordpress slider on June 6, 2015 by Vera Jaman. This entry was posted in Interface Elements, Sliders and tagged auto scroll, carousel, circular, featured image, mobile, plugin, post category, post id carousel, post tag, responsive, tablet, twitter, twitter widget, wordpress on May 26, 2015 by Vera Jaman. You can customize each scroller individually. Can easily be changed to be used as an image scroller. You can have a completely customizable lightbox with caption. You can embed Youtube & Vimeo videos. 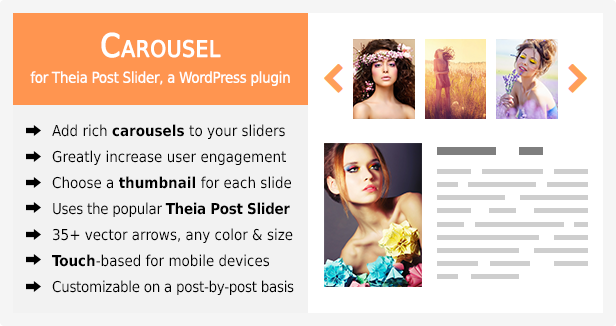 You can add HTML or Flash in the thumbnails or the lightbox. You can add links to your thumbnails. You can design your own navigation buttons and use them. 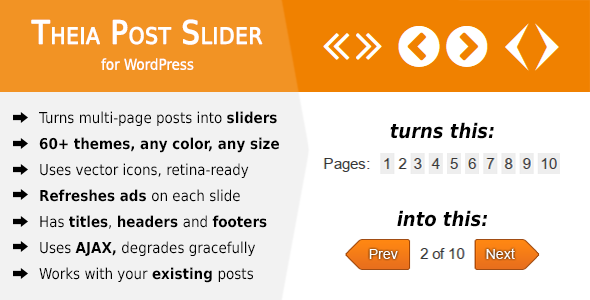 You can use an unlimited number of scrollers into your WordPress website. You can display in a scroller an unlimited amount of images. 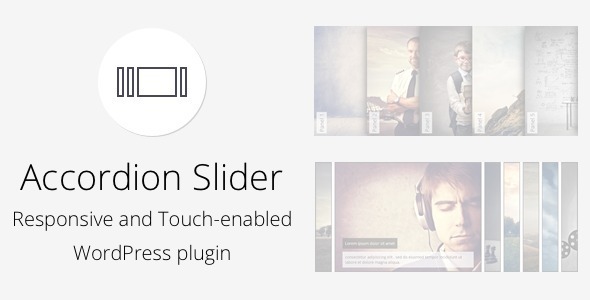 Browse the scroller on touchscreen devices using one finger (swipe thumbnails, images or lightbox). You can navigate through thumbnails with mouse, a scroll bar or arrows. You can loop the thumbnails. You can change thumbnails position. You can have a slideshow. View the Live Preview to see some customization examples. This entry was posted in Interface Elements, Sliders and tagged ajax, android, image, ios, jquery, lighbox, link, media, plugin, responsive, scroller, slider, slideshow, thumbnail, wordpress on April 29, 2015 by Vera Jaman. 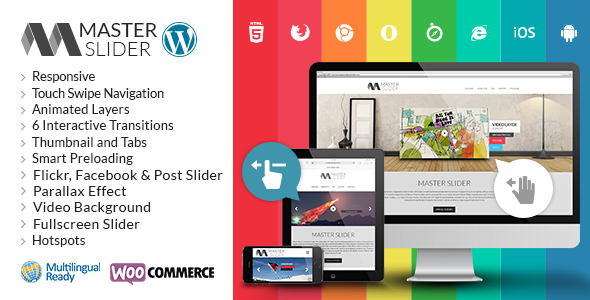 This entry was posted in Interface Elements, Sliders and tagged banner rotator, carousel, content slider, facebook slider, flickr, fullscreen, gallery, image slider, post slider, showcase, slideshow, swipe, touch slider, video gallery, woocommerce slider on April 7, 2015 by Vera Jaman.